Between Paige and I we have 5 boys and 2 girls. 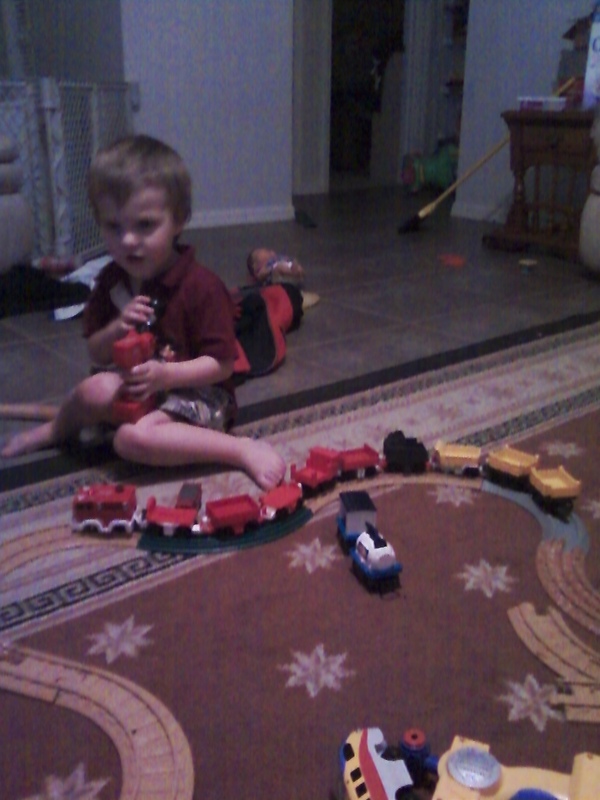 Geotrax have been a big hit with them all. I started my kids collection when my oldest turned one, i now own 2 totes worth. 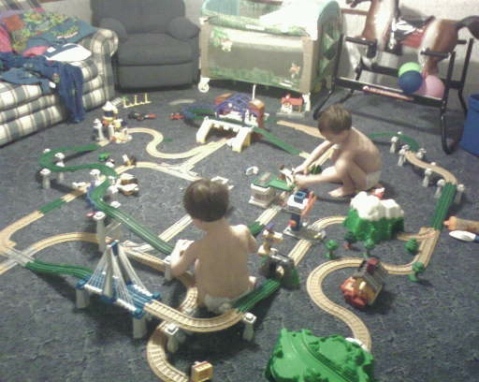 Geotrax are an awesome toy that all ages can enjoy. Fisher Price comes out with a new set every year which a train and remote are about $25, the sets go anywhere from $25-$100 depending on size. You can find Geotrax at all major retail locations. I fell in love with the product because it offers so much, your able to change the tracks and they hold up to anything your child dishes out. Geotrax are very easy to use they require a total of 6 AAA batteries, 3 in the train & 3 in the remote. Trains are set on a track and move with the simplicity of a forward and backwards remote, the tracks snap together and have a nice hold. Right now on Amazon most of the Cars 2 sets are on clearance, including the car and remote below.